Every so often I'm lucky enough to stumble upon a book that grabs my attention on multiple levels. Even better, if I'm really lucky, it's an engaging, informative read that not only holds my attention, but leaves me inspired to find out more. That was the case with Wrestling with Moses: how Jane Jacobs took on New York's master builder and transformed the American city by Anthony Flint. In general, I'm interested in urban development. I love vibrant cities: give me a bustling city street with lots of people and shops big and small, sandwiched between restaurants, parks, office buildings and museums any day over a mall with a big parking lot (no matter how close a parking space I get). 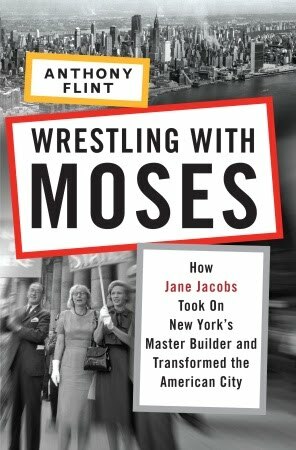 It was in such an environment (and in New York City no less) that I stumbled upon Wrestling With Moses, which chronicles the fights of Jane Jacobs, against the concept of urban renewal in New York City. This book is definitely pro-Jacobs: set up as a David and Goliath style tale. Jacobs is the feisty resident concerned with the future of her neighbourhood, who organizes against Robert Moses, the urban planner known as New York's "master builder" for his decades of work directing large scale developments in New York. 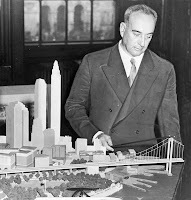 There is mention of Moses' work on many of the New York developments he made his name on including the Lincoln Center and Jones Beach, and of the bridges and roads that he was a big proponent of, but the book really focuses on two proposed projects toward the end of his career, which were never completed due to efforts of Jacobs and city residents like her, to block them. The book leads us to imagine how New York would be different today if these developments had been allowed to happen, and is a great read for those interested in urban development, citizen activism or the city of New York. It seems a fitting time to mention this book about Jane Jacobs. 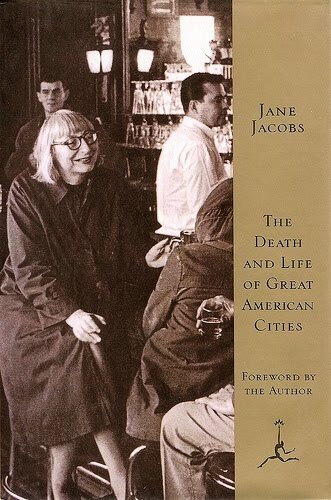 This year marks the 50th anniversary of Jane Jacobs' most well known book, The Death and Life of Great American Cities. The book, although controversial at the time of its release (in large part for criticizing the urban renewal efforts of people like Moses) is now considered an essential text in the discipline of urban planning. This post is also timely, because this coming weekend Halifax will be the site of several Jane's Walks - an annual international event that started in 2007 that "celebrates the ideas and legacy of urbanist Jane Jacobs by getting people out exploring their neighbourhoods and meeting their neighbours". For more about Jane's Walk visit their website: HRM events can be found here. 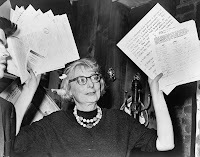 Jane Jacobs : urban visionary by Alice Sparberg Alexiou: overlapping somewhat with the Anthony Flint book, this biography of Jacobs activism also covers her later life in Toronto. Who's Your City by Richard Florida: these days it seems hard to talk about Jane Jacobs without also talking about Richard Florida (case in point, the first jacket quote for Wrestling With Moses comes from Florida). Who's Your City talks about the personalities of cities and helps you figure out which one is best for you. Florida is also the author of The Rise of the Creative Class. 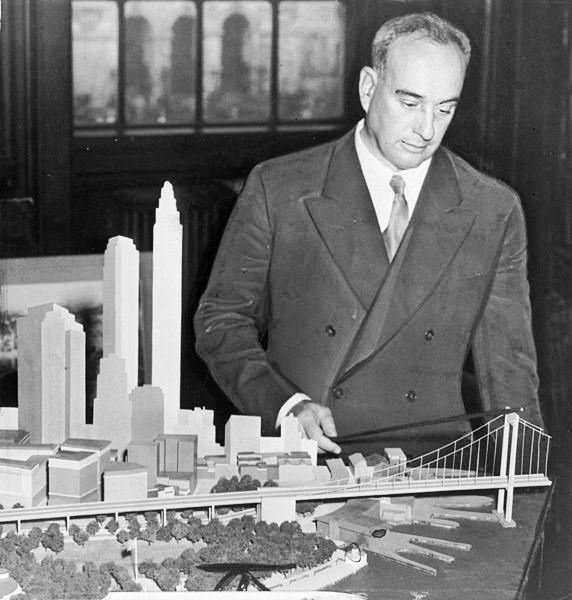 The Battle for Gotham: New York in the shadow of Robert Moses and Jane Jacobs by Roberta Brandes Gratz: Why is it that books always seem to be published in pairs? This is a newer title covers much of the same ground as the Flint book, but would make good companion reading. For several years I've found Mr. Florida rather appalling and I was shocked when he came to Ontario and reinvented himself as a Jacobs disciple. He's popular because his arguments suggest governments should support the arts, but if those arguments are unsound no good can come out of them. That being said, Jacobs was very important, and the urban renewal efforts in Halifax in the '60s and '70s that came out of Scotia Square and the Halifax approaches to the MacKay Bridge (which required the abandoning of Africville) were pretty awful. The latter has got lots of attention lately, and the former deserves more.